With 2007 closing, perhaps it's time to reflect on our place in the cosmos. 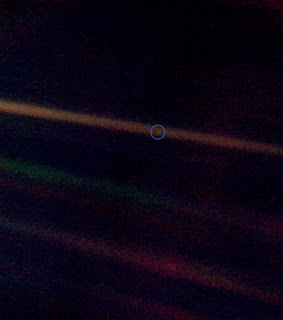 And while awaiting the outcome of the WGA strike, one has to wonder, will the Colonial Fleet find their way to the pale blue dot, and what will they find when they get there? Happy New Year everyone! Have a great 2008! TV Shows on DVD has just broke the news that Season 3 of Battlestar Galactica will be released on DVD on March 25, 2008. The 6 disc package will include an extended version of "Unfinished Business" with 25 minutes of additional footage. The set has a total of 15 hours of bonus material, deleted scenes, podcasts, and behind the scenes features. The fans over at Fans4Writers have come up with a really interesting and ballsy idea. They’re going to hire skywriters to fly over the Rose Parade and aerially type messages supporting the WGA. The initial cash is being laid out by an anonymous fan, while the site is holding a silent auction of autographed Galactica scripts and other memorabilia to help with the costs -- so don’t let this one brave soul carry the whole burden, go over and see if there’s a script or two that catches your fancy. I gotta say, I’m really impressed with the fans. They come out and join us on the picket lines in the wee hours of the morning, bring doughnuts, buy pencils, now they’re using the Rose Parade as an opportunity for Guild graffiti. To all the fans, a great big thank you from me and the entire WGA for your efforts and your moral support, it’s greatly appreciated and believe me, it will be remembered long after this strike is over and done. 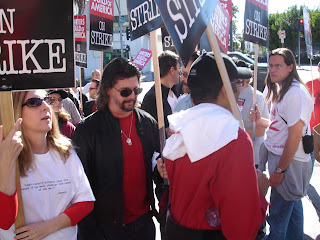 Ronald D. Moore has updated his blog, praising the WGA/Letterman deal. Watching BSG reports that Michael Trucco is asking his fans to donate to Food on Foot, a charity that "helps the poor and homeless of Los Angeles, not simply by providing food but also by providing opportunities to learn skills and and providing them with opportunities to gain employment." Fans4Writers is raising money via an auction for some awesome skywriting to appear above the Rose Bowl Parade New Years Day. ETA: There are now thirteen BSG scripts, signed by the writers and sometimes the director, up for auction over there. Deadline Hollywood has more details about the project. Also from Watching BSG: reports on Edward James Olmos at Disney World's Christmas events. View YouTube videos of Eddie narrating the EPCOT Candlelight Processional at Walt Disney World in Orlando, Florida at The Spotman's blog. David Letterman's company Worldwide Pants has signed their own deal with the WGA which will allow Dave's writers (and Craig Ferguson's writers) to return to work January 3rd. It's interesting that the WGA specifically calls out NBC/Universal. Understandably Jay Leno's show will be at a competitive disadvantage working without their writers. (Jay, and the other late night hosts don't own their own shows as Dave does, so they can't make their own deal.) So, NBC may really feel the pressure to make their own deal, even though they will feel tremendous pressure from the AMPTP not to break ranks. Still, with Jay, and Conan O’Brien, Jimmy Kimmel and Comedy Central’s Jon Stewart and Stephen Colbert all returning to the air without their writers, you can be sure all those hosts, along with Dave, will be bashing the networks and studios in the AMPTP night after night. The public and advertiser pressure for a settlement on the corporations will only grow stronger. And the sooner NBC/Universal makes a deal with the WGA, the sooner Battlestar Galactica writers, actors and crew can get back to work filming the last 9 episodes. The Galactica Sitrep wishes everyone a Happy Christmakwanzaakuh and a very merry Yuletide season of midwinter. It's been a great year for the Sitrep, and we thank you all for visiting our site. We'll be back after the first of the year, so unless something important happens in the Battlestar Galactica universe this is our last post of 2007. More details are on this Fans4Writers thread. Apparently the board will be updated once a week. The New York Times includes BATTLESTAR GALACTICA on their list of favorite shows of 2007. Entertainment Weekly picks Starbuck’s death as one of the Most Memorable TV Moments of 2007. USA Today’s Popcandy blog puts Katee Sackhoff at #10 in their list of the Top 100 People of 2007, for basic awesomeness on both BSG and BIONIC WOMAN. There’s No Money In Online Distribution. Right? AppScout discusses the various online distribution methods that NBC is pursuing for BATTLESTAR GALACTICA and other shows, after its recent break with iTunes. Apparently making HD versions of their shows available online for download, is one of NBC’s ultimate goals. Let’s hope they work out the royalty issues with the WGA soon on this stuff, cuz I want my HD d.l.’s! Despite what the AMPTP is telling the striking Hollywood writers and the press, a tipping point seems to have been reached in Hollywood regarding the internet - and there is no turning back now. Make a deal AMPTP, and stop mucking about with our culture’s storytellers. ...In related news: "Starting in January, the WGA will commence STRIKETV.com, where clips of video material will be put up and advertiser support sought." [via Nikki Finke]…and…A contest has just begun via FairDeal4Writers to make the best short video that suggests ways to end the WGA Strike. Watch Paul “CRASH” Haggis explain in this video below. Bionic Woman still not cancelled. Jeez. On the internets, there are so many haters and so many people on deathwatch for BIONIC WOMAN, it makes my head spin. Yet rumors are rumors – and both TVGuide.com and WatchingBionicWoman have been contacted by the show’s Powers That Be, with statements denying these rumors. …a spokesperson for NBC Universal Media Studios tells TVGuide.com, "Bionic Woman has not been canceled. Production was shut down due to the WGA strike. In addition, we have not completed the initial 13-episode order, which will be the first order of business when the strike ends. Ho ho ho. Don't be hating. Galacticanews, a longstanding and highly informative livejournal community, has posted a long list of updated links and fandom commentaries to keep us all busy over the holidays. The book Cylons in America: Critical Studies in Battlestar Galactica has been released in the US. The UK version and the hardcover are both coming in January 2008. A list of chapters and contributors can be found at the end of this post. One of the essays in the book is by Dr. Tama Leaver who also has written about BSG in the past. 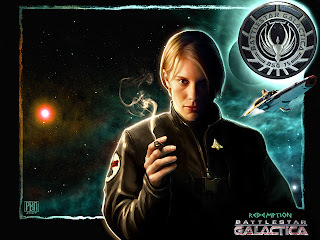 Hoyden About Town blog asks: is BATTLESTAR GALACTICA feminist or not? Ron Moore spoke with CNN about Star Trek fandom and fanvids. Joss Whedon posted a nice thank you note to Ron Moore on Whedonesque while discussing their recent activities on the picket line. TV Squad has news that BSG’s Nicki Clyne, along with several other TV actresses, is starting a web site for college students. WatchingBSG notes that Stephanie Chaves-Jacobsen has been cast in David E. Kelley’s next TV project: a US remake of the UK show LIFE ON MARS. Firefox News has posted an interview with Jamie Bamber. Best Life magazine has posted a portion of their interview with Jamie Bamber online. The rest is in the print issue. Jamie Bamber’s message of support for GLAAD, which premiered during the US airing of RAZOR last month, is now online. 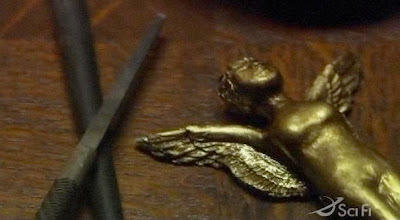 Your Props online archive has info on the knife used in RAZOR as Helena Cain's favorite blade. If you need that for some reason. TV Squad talks about how BATTLESTAR GALACTICA and many other shows have comic book side projects coming out while the show is still on the air. The Guardian’s TV & Radio blog reviews the RAZOR DVD. Thank you livejournalist admireddisorder for pointing out the amazing art of ratscape (aka Arne). Wow! Flow TV is a critical forum on television and media culture published by the Department of Radio, Television, and Film at the University of Texas at Austin. Their new issue focuses on BATTLESTAR GALACTICA. 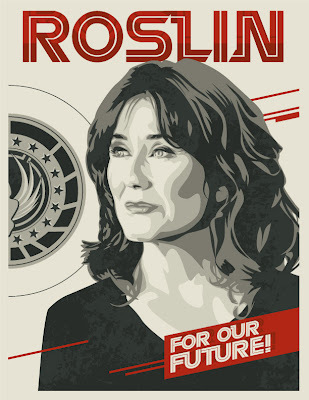 The issue includes a breakdown of Mary McDonnell’s visit earlier this year to Brown University, as well as an in-depth interview with Mary by Julie Levin Russo. 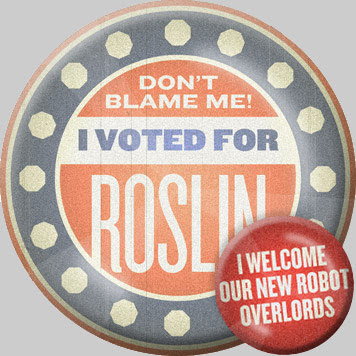 Russo has also been posting her ongoing BSG dissertation work on her livejournal. Livejournalist stimkat has posted links to interviews and photos of Luciana "Kat" Carro and Patrick Currie (Enzo in "The Passage" as well as three SG-1 roles), during their recent visit to the German con Crossroads. James Callis will be appearing at the Farpoint con in February near Baltimore. Aaron Douglas will be at the Dallas All-Con in March. Jamie Bamber is scheduled to attend this SERENITY con in England, along with Mark Sheppard, in April. Jamie Bamber, Mark Sheppard, Nicki Clyne, Leah Cairs and Richard Hatch will be appearing at the Fedcon in Germany, April 2008. 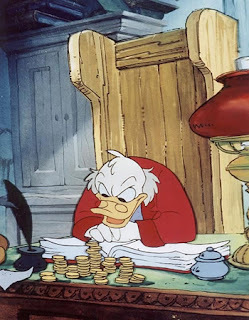 Above, Nick Counter of the AMPTP cooks the books, and tries to figure out how few pennies to give the writers for DVD sales for Christmas. Nikki Finke at Deadline Hollywood Daily has an exclusive update on the strike. She reports that Jeffery Katzenberg of Dreamworks met with television showrunners, and started to make headway on a deal to get talks started again. But when Katzenberg presented this proposal to restart talks to the head of Warner Bros. Barry Meyer (who is viewed as a hardliner) he flat out rejected the overture. And who said the billionaire Hollywood moguls don't have Christmas spirit? Maureen Ryan's report from the picket lines in Los Angeles. Ryan's report that cable shows, such as Battlestar Galactica, might possibly air on networks looking for scripted series to fill up their otherwise empty airtime. Is Joss Whedon the final cylon? As we approach Christmas week, there's still no real public progress on resuming talks. Rumors abound about an AMPTP "February strategy" (see Mark Evanier's blog for more), which doesn't exactly bring tidings of comfort and joy to all those currently out of work. And the propaganda war continues, especially the charge that WGA members are all so rich that this strike is little more than a welcome, extended vacation for the membership. I'm sure the folks applying for emergency loans, in fear of losing their homes or apartments, appreciate this characterization. It's an especially interesting charge given that it's being promulgated by several enormous multi-national corporations whose CEOs make millions. I don't think you have to be Milton Friedman to understand that the conglomerates are the ones with the deep pockets here, not the writers. Or to remember that it was the AMPTP that walked away from the negotiating table twice now, not the WGA team. Firstly - HULLO THERE NUGGET. Secondly - we are in the process of tagging our entire archive for fun archival spelunking by folks such as yourself. Give us till next week, and that tag cloud on the right column of this page should give you complete access to older posts. We are also going to clean up and add to our current BSG Links list, so come back for more excellent linkage. Thirdly - Happy Holidays to you all. * In the Dec. 28 issue, EW has proclaimed us one of The 25 Most Essential Fansites For TV, Music and Film Buffs. Frakking excellent. Edit: See also this hilarious report on Space Westerns of a fictional original 1979 Battlestar Galactica Christmas Special among other holiday episode spoofs. (The Firefly holiday special sounds particularly fun.) Thanks for the link, Nathan! You may have seen our new Sitrep Tag Cloud over to the right in the side bar. By the new year all prior posts should have at least one tag, so if anyone wants to dig through our archives, your searches should be a lot easier. What is this writers' strike all about? Journeyman is a pretty good (not great, but really good) show. It's too bad nobody watched it. Plus, one of the co-stars Moon Bloodgood is a Battlestar Galactica fan. NBC will broadcast what would appear to be the last episode, Wednesday night. 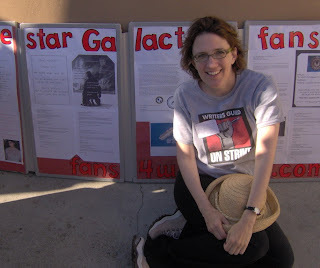 Mark Verheiden reports on recent picket activity at the Barham Gate, and reports that the President of the Colonies, Mary McDonnell paid a visit to the writers. United Hollywood has an excellent study of all the different view points and agendas of all the studios and big media corporations and the cards they are playing. In the interim, Family Guy creator Seth McFarland has contracted with Google to develop a series of sponsored five-minute mini-programs. Rather than residuals, McFarland will retain 50 percent ownership of the copyright. Other WGA members are forming ventures to take their work directly to the internet, allowing them to deal directly with advertisers. This is a big deal. Remember that in Hollywood, writers give up 100% of their copyright to the studios. In other news, AMPTP mouthpiece Chris Lehane gets caught in another lie. “This winter is going to be Valley Forge,” British actor and comedian Eddie Izzard said at Friday’s Write Aid, a WGA benefit staged at UCLA’s Royce Hall by several comics. "Unfortunately, now with the New Year upon us, I am left with a difficult decision. Either go back to work and keep my staff employed or stay dark and allow 80 people, many of whom have worked for me for fourteen years, to lose their jobs. If my show were entirely scripted I would have no choice. But the truth is that shows like mine are hybrids, with both written and non-written content. An unwritten version of 'Late Night,' though not desirable, is possible – and no one has to be fired. "So, it is only after a great deal of thought that I have decided to go back on the air on January 2nd. I will make clear, on the program, my support for the writers and I'll do the best version of 'Late Night' I can under the circumstances. Of course, my show will not be as good. In fact, in moments it may very well be terrible. My sincerest hope is that all of my writers are back soon, working under a contract that provides them everything they deserve." The WGA continues talks for an interim deal with David Letterman's company Worldwide Pants so that the Late Show and Late Late Show can return to air with their writers. Digital media legal expert Jonathan Handel has some ideas on how to restart talks. Read all of Handel's article if you really want to get deep into the weeds of the issues involved. The basic framework he suggests might actually be acceptable and reasonable to all sides. The alternative, he suggests, will be scorched earth and the probability that SAG will go on strike when their contract is up at the end of June. I'm not terribly optimistic, so it'll probably be scorched earth. Deadline Hollywood Daily reports on the latest example of illegal collusion among the member companies of the AMPTP. It you really study the issues it seems like a Sherman Antitrust Act or RICO investigation is warranted. You can press for action in the Los Angeles City Council. The DGA and the WGA will be meeting to discuss and share ideas (and perhaps strategy) regarding new media concerns. SAG reiterates its steadfast support for the writers. The AMPTP and their hacks continue to lie. And they don't even do it very well. The decisions were announced tonight at the big WGA West membership meeting taking place right now at the Santa Monica Civic Auditorium. The Hollywood Foreign Press Association had requested a waiver for its NBC broadcast, but the WGA rejected it. The Academy of Motion Picture Arts & Sciences has not yet asked for a waiver for its ABC broadcast, but the WGA said it would reject that, too. At the start of the meeting, WGAW president Patric Verrone introduced chief negotiators John Bowman and Dave Young to the crowd of striking writers who gave all three men a standing ovation. The Man Room has a link to a new product from Fred Barton Productions, being distributed by Sideshow Collectibles: A LIFESIZE CYLON CENTURIAN WARRIOR. I am not the target audience for this product but – ZOMG!!!!! The enduring Battlestar Galactica hiatus was recently temporarily spelled by the release of Razor on the Sci-Fi channel and DVD, followed by Battlestar Galactica: Season One on HD DVD a couple weeks ago. Nothing was on the horizon until the premiere of season four in March, leaving us with three months of twiddling our thumbs wondering what happens next. Now suddenly out of nowhere, Sideshow Collectibles has added a preview to their website for, get this, a life-size Cylon Centurian warrior from the modern version of Battlestar. My first thought was how cool it would look to have a pair of these guys flanking my ManRoom door with their red eye scanning back and forth. My wallet says otherwise, but miracles have happened before! Anyone who has seen one of the T-1000 Sideshow life-size props in person can attest to how cool they are. Expensive, but cool. The penultimate definition of ultimate ManRoom gear. Let us know if you have any issues using this. 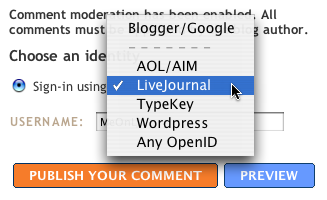 We are not yet sure if this new service will actually ping your non-blogger ID to keep you in a comments chain. ETA: Note that if you do not use a Blogger ID to comment, you CANNOT get emails for the comments-chain on the post. Amok-koma has been posting some terrific fan art over at the battlestar blog. I've posted a couple of them here; touch the image to see a much larger more detailed version. Keep up the great work Amok! Over at Entertainment Weekly, Stephen King has chosen BATTLESTAR GALACTICA as one of his Top 5 TV Shows of the Year. Battlestar Galactica co-exec producer Mark Verheiden is the writer of My Name is Bruce staring Bruce Campbell coming out Summer 2008. The WGA is on to something that should have been a tactic from the start: Why negotiate with the AMPTP when a better approach is to talk to each individual company directly? Are NBC/Universal's interests really the same as News Corp./Fox? It makes more sense to make these companies play off of each other. 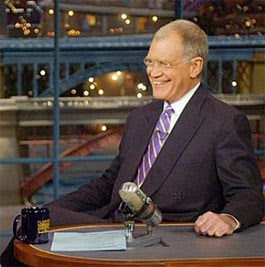 And already it seems David Letterman's own company, "World Wide Pants" which owns and produces the Late Show with David Letterman, and Late Late Show with Craig Ferguson, will be making their own deal with the WGA, so Dave's show and his writers can come back to work. As you know, the AMPTP is currently unwilling to bargain with us. The internal dynamics of the AMPTP make it difficult for the conglomerates to reach consensus and negotiate with us on a give and take basis. We believe this multi-employer structure inhibits individual companies from pursuing their self-interest in negotiations. We nonetheless continue to hope that the AMPTP will return in good faith to negotiate a fair contract with writers, as two television seasons and numerous feature projects are currently at great risk. We want to do everything in our power to move negotiations forward and end this devastating strike. We have therefore decided to reach out to major AMPTP companies and begin to negotiate with them individually. As you may know, bargaining on a multi-employer basis through the AMPTP is an option for the WGA, not a legal requirement. Each signatory employer is required to bargain with us individually if we make a legal demand that it do so. We will make this demand on Monday December 17th and hope that each company responds promptly, in accordance with the law. In the meantime, we urge you to support us and our negotiations team and leadership during these difficult times. We look forward to a making a fair deal that will resolve this strike, protect our future and put us all back to work, for the good of the industry and all of its employees. The issue at hand is whether the WGA can exploit the lack of unanimity within the mogul ranks on how to proceed with the AMPTP-WGA contract talks. For one thing, not all their agendas are the same: there are the mostly movie studios, the mostly TV networks, and the studios that own networks, and the networks that own studios. But here is what Big Media consolidation has wrought: Brad Grey, for instance, can't just do a Paramount-WGA deal because he has to take into account Les Moonves' opinions even though Viacom and CBS are supposed to be separate companies now. (Trust me, Grey can't do what Moonves doesn't want him to do. For instance, Moonves is planning to make movies, but Grey recently let go of his chief TV exec.) Nor can Universal's Ron Meyer because of NBC. So the handful of CEOs who normally trash-talk one another are now comrades in arms. 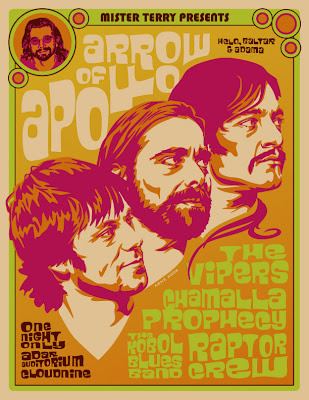 I've said this before but it's well worth repeating: In the old days of guild talks, the AMPTP was made up of hundreds of honest-to-god independent producers But they went by the wayside when financial syndication rules were eased. So now there's no Aaron Spelling or Carsey Werner in the mix at the AMPTP telling Big Media to play nice. Starting back on December 3rd, WGAW prez Patric Verrone called on the more moderate CEOs to break ranks with AMPTP which he claimed is "allowing bottom-line hard-liners to rule the day." I've heard top WGA'ers privately refer to this as the "Let's Make A Deal" strategy. But it hadn't been articulated in public until then. "If any of these companies want to come forward and bargain with us individually, we think we can make a deal," Verrone told AP while conferring with picketing writers at NBC in Burbank. I find it that the moguls may not have the strength of character, the commitment to their shareholders, or, let's face it, the balls of steel necessary to go against The Club. For weeks now, I've talked to several CEOs about why they don't deal individually with the WGA. After all, the car companies have a lot in common, but they still bargain individually with the auto workers. But Hollywood studios and networks are colluding, not competing. Sony and Paramount are primarily in the movie business. Why not get their films restarted? NBC has been in the cellar ratings-wise. Why not leap-frog other networks and ensure the Golden Globes go off without a hitch? Then there's ABC: doesn't it have the most to lose with most of its Nielsen Top 10 series in primetime not to mention the Academy Awards? And do Fox's rivals really want to cede January to May ratings to Peter Chernin? Any network that does a deal now could save the Back 9 of scripted shows not to mention pilot season. Any movie exec could finish the 2009 slate and move on to 2010. Makes sense, right? But when I raise this possibility, the CEO's answer is an audible shrug, followed by stammering and a simple, "I just can't." Time to upset protocol and break ranks. Maybe fans of Lost should put pressure on ABC/Disney to make a deal. And fans of Battlestar Galactica should directly pressure NBC/Universal to break ranks with the AMPTP and make their own deal with the WGA. 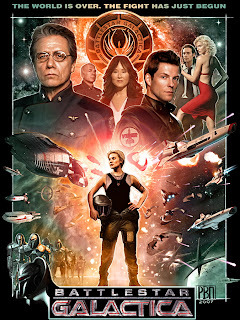 “Battlestar Galactica” (Sci Fi): Though there were some wobbles in the second half of Season 3, the final four episodes of this drama’s third season, as well as the standalone movie “Razor,” proved once again why this space series is in a class by itself. There’s nothing like a good “Battlestar” plot twist to make your head spin, but the “holy cow” moments aren’t the main point (though they’re one heck of a tasty side dish). But the show and its twists and turns are grounded in deep curiosity about human nature, and how contradictory and confounding it can be. 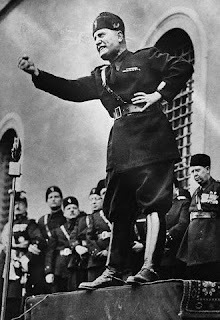 And some of its most provocative moments spring from an abiding interest in the ways in which people fight tyranny – and in doing so, sometimes become tyrants. To read Ryan's full list and to find out why Mad Men was the best, click here. I guess when CBS decided to pay their CEO 200% above what other CEO's earn, well cuts had to come from somewhere. There's still a chance you can help stop more of these big media consolidations from continuing, but time is running out. See also, Bill Moyers Journal. It's the end of the year so publications are coming out with their 10 best lists. Battlestar Galactica so far has made the top ten TV shows lists of Time and MSN. Update: As noted in the comments the Time list is from last year, 2006. First off, thank you so very much for all of your kind words and well wishes. Secondly, I AM going to make a full recovery, better than before, stronger than ever. And hearing from all of you and all the good energy being sent my way can only motivate me even more! It's been a crazy week and a half to say the least. The paramedics on the scene that tended to me first said I was lucky to even be alive, let alone be able to pull myself outta the damn thing. The roof completely collapsed on the passenger side. I knew the second we rolled over and crashed down hard on the asphalt that something was seriously wrong with my neck. When everything settled, my hands were laying next to my face on the roof of the car and THEY WOULD NOT MOVE. Needless to say, that scared the s#*t out of me. I took a beat, and remember thinking to myself that I CANNOT be paralyzed. This just can't happen to me....I won't let that happen! And suddenly I looked at my right hand and the damn thing reached up and unclipped my seatbelt. Just like that....I had feeling (painful feelings) but feeling nonetheless. Then somehow I managed to crawl out on the driver's side after my friend got out and get to the side of the highway and lay down. From there I made a couple of calls and waited for the ambulance with my friend and about a dozen or so other motorists who pulled over to help. From there I was taken down the road to a waiting helicopter ready to take me to UCLA Trauma Center. It got progressively more frightening from that point on as the seriousness of what just happened started to set in. Anyhow, I don't want to bore you all with every mundane detail, but I just needed to tell that side of the experience and let you all know that I cherish each and every new day with every rising sun. Life is precious, friends and family are priceless. I am sincerely grateful for all that I have. I sign off on all of my posts with the same mantra that means so much to me. But now more than ever the words really ring true. So to one and all: LOVE this life, and LIVE the love everyday. Kent Gibbons of Multichannel News, has the inside story on how the new Battlestar Galactica season 4 promos were created. 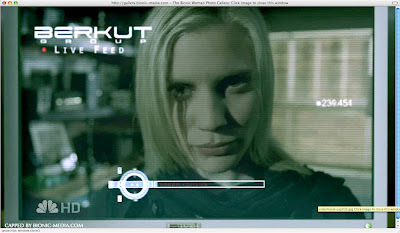 While sister channel USA is the one branded around “characters,” the Battlestar Galactica promotion titled “Future” used a minimalist approach that spotlights each of the individual characters, rather than space battles. Fifteen actors from the series, including leads Edward James Olmos and Mary McDonnell, are featured. Staring directly into camera, a rotating light source falls over each actor’s face. Sound bites from the show are heard to provide the viewer with deeper insight to the character. "To capture emotional snapshots of each character, a 360-degree rotational lighting rig using a helicopter motor was created and built specifically for this shoot. The idea was inspired by the planets rotating around the sun,” James Coulson, design director at Sci Fi Channel, said in a release. “Everything is done in camera, with only simple masks and a color-correction in post." In other news, Razor's Stephanie Chaves-Jacobsen has been cast in David E. Kelley's American version of the U.K. series, "Life on Mars." And Callum Keith Rennie, BSG's Leoben, has joined the cast of X-Files 2 starting David Duchovny and Gillian Anderson, written by series creator Chris Carter as well as former executive producer Frank Spotnitz, and is being directed by Carter. Filming is underway in Canada. The AMPTP and each of its member companies have a legal obligation to bargain in good faith with the WGA. Their unilateral walkout from negotiations last Friday and their on-going refusal to bargain is illegal under the National Labor Relations Act. Therefore the WGA today filed Unfair Labor Practice charges against the AMPTP with the National Labor Relations Board. The DGA’s announcement today that it may begin negotiations with the AMPTP in January in no way relieves the AMPTP of their legal obligation to negotiate with us. The only legal way for the AMPTP to remedy the Unfair Labor Practice charge we have filed is to return to the bargaining table. The WGA Negotiating Committee and leadership are working hard on many fronts to bring the AMPTP back to the table. In the meantime, your presence on the picket lines Monday, along with your support for the Guild, is critical in increasing our leverage with the companies. The companies walked out of talks for the second time last Friday, and are using every possible tactic to attempt to divide our members and create ill will. They have recently employed a team of highly-paid spin-doctors to take attention away from the fact that it was the companies who unilaterally and illegally broke off negotiations, and to make it seem as if the WGA was more interested in reality and animation than in new media compensation and jurisdiction. I can assure you that is not the case. The Writers Guild’s proposals remain reasonable and affordable. The companies’ refusal to bargain in good faith is a callous and cynical act, denying paychecks to thousands of families this holiday season. The WGA strongly urges the AMPTP to return to the table and begin good-faith negotiations, so that our members and the rest of the community can get back to work as soon as possible. With everyone from the LA TIMES' Patrick Goldstein, to DEADLINE HOLLYWOOD DAILY's Nikki Finke to The Huffington Post's Robert J. Elisberg blasting the AMPTP for its PR stunts and attempts at union busting instead of actually negotiating in good faith, this should not have surprised the conglomerates. (Although we are talking about people who failed to spend $9 bucks at GoDaddy.com to register their .com and .net addresses). And while we're at it, maybe somebody should talk to members of Congress about why these multi-national mega corporations - who are usually cut-throat competitors - are allowed to negotiate as a single entity against every union separately. Blade Runner: The Final Cut comes out on DVD (And BluRay and HDDVD) next week on the 18th. Bill Hunt of the Digital Bits has a detailed review of every single disc in the set. If you're a Blade Runner fan, you'll need this collectable set. 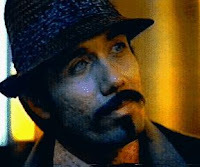 Edward James Olmos participated with an interview for the DVD documentary included in the release called, Dangerous Days: Making Blade Runner which is a 214 minute in-depth history of one of the most discussed SF films ever. The dinner is not Olmos’ only contribution to the auction, he is also selling an autographed picture of the cast of Battlestar Galactica, an autographed LIFI poster, an autographed Stand and Deliver script, an autographed Zoot Suit poster, and an autographed DVD of the movie Walk Out. If you are looking for the perfect gift for an Edward James Olmos fan, there is also an autographed poster of original art celebrating his most famous movie and television roles (although the poster seems to be sadly missing Admiral Adama). You can even bid on Eddie's autographed Miami Vice jacket. UPDATE: Here's the filing. And WGA President Patric Verrone emphasizes in an interview with the Financial Times previewed on DHD, that reality is a bargaining point to be negotiated in good faith give and take with the mega media corporations. Deadline Hollywood Daily reports that Universal Studios called the cops when Ron Moore, Joss Whedon, along with other writers and fans tried to drop off the pencils to moguls at the Universal gate. DHD published the statement today from the Directors Guild of America which was written in such a way to give them maxim wiggle room so as not to offend anyone. While the DGA said, "In order to give the WGA and the AMPTP one last chance to get back to the table, we will not schedule our negotiations to begin until after the New Year, and then only if an appropriate basis for negotiations can be established," I'm left wondering exactly what that means, or what impact it will have on the intransigence of the AMPTP. United Hollywood is taking up a collection for Les Moonves since he's hurting after Sumner Redstone tossed piles of money at him. Also reported on UH, MTV Networks workers who were getting their healthcare slashed for the holidays, walked out and forced a reversal. Sumner Redstone owns MTV as well. I guess the cash for Moonves came out of the MTV health plan. Nikki Finke also reports on the disruption of Carson Daly's pathetic talk show. SciFi Pulse has an excerpt of Ron Moore's interview with Starburst Magazine. The article contains some spoilers and hints of the direction of season 4. Trek Movie Report notes Nana Visitor's upcoming guest appearance on BSG. Chief WGA negotiator Dave Young posted this update to the WGA membership in response to the AMPTP's latest spin and weak attempts to divide the membership. Deadline Hollywood reports that the writing is on the wall that the DGA (Directors Guild) is ready to fold like pup tents and cave-in to accept whatever crumbs the AMPTP will give them. The DGA's apparent willingness to toss the writers under the bus is unfortunate, but not unexpected. DHD also has the scoop on the tens of millions Les Moonves just got paid for his new compensation package, for his failing CBS network. Oh, but there's no money in the internet, animation and reality shows aren't written by writers, and there are weapons of mass destruction in Iraq. But, there's enough money around to give it all to Les Moonves. 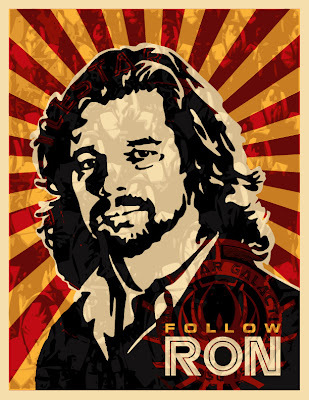 BSG co-exec producer Mark Verheiden has an important update on his blog today that answers one of the key talking point lies of the sort Tom Short of the AMPTP IATSE like to spread around. Also, FireDogLake reports on Mutant Enemy Day. And writers sabotaged the taping of Carson Daly's show. YES! Nick Counter, above, rallies the AMPTP. Keep up the good work people, I think the pencils and the steadfast support from us, the fans, is really getting under the skin of the creeps at the AMPTP. It must drive them crazy to realize that fans have led a grassroots and highly creative effort on behalf of the writers. By now you know that those in charge at the WGA have injected substantial new doses of vitriol into the important and continuing debate on our industry's future. On Monday, in a letter to members of the WGA East, the president of that organization wrote: "They lie. And then they lie again. And then they lie some more." Hmmmm. It sounds like the AMPTP is shocked! shocked! to find gambling going on in the casino. Maybe the AMPTP doth protest too much to being called liars. If the shoe fits, wear it. Keep on lying, since it's worked so well for you thus far and clearly worked as a PR move, right? Looking over the latest howl of fake outrage from the AMPTP makes me think that they must have conducted a new poll and the survey must have come back with more bad news for them, because I'm sure the VAST majority of the public continues to stand behind the writers. However Galactica Station posted this piece about how Star Trek fans are supporting the moguls, and Battlestar Galactica fans are supporting the WGA. It sounds true, just from looking over comments left on Trek Movie Report, but how true is it really? Anyone know? Serious kudos today to digital artist Starpollo for our frakking excellent new banner. Her art journal is here. United Hollywood has a flickr set of Ron Moore and Joss Whedon, and thousands of pencils. Writers Paul Haggis and Laeta Kalogridis write about the importance of covering animation and reality writers under the benefits of the WGA and why that issue MUST remain on the table. Ron Moore has updated his blog with details about Pencil Day and Star Trek Day. Some of you might remember the famous “nuts” campaign on behalf of “Jericho” where fans send packages of nuts to CBS to save the show from cancellation or the “Tabasco” campaign conducted to save “Roswell.” Well, these fans came up with the idea to send pencils to the moguls heading the major studios and networks represented at the bargaining table. Fans were able to buy boxes of pencils in the name of their favorite show for $1, which would then be delivered to each of the six major companies today. 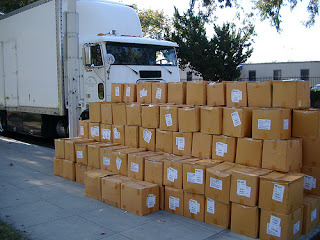 ...In less than three weeks, the fans bought over a half a million pencils, which you see here today. Simply put, the message they’re trying to send by this effort is that members of the audience itself – the market for our shows and films – both understand and sympathize with the position of the Guild and want a return to collective bargaining. Lest this be dismissed as a small group of fans, it’s worth remembering that recent national surveys have shown solid majority support for the writers in this labor dispute. The WGA is still at the table, waiting for the studios to return to good faith negotiations. While we believe our proposals to be fair and reasonable, the Guild has always been willing to engage in legitimate bargaining on each point of the contract. But we need a partner to negotiate with. Issuing ultimatums, staging walk-outs and releasing factually-challenged press statements tinged with manufactured outrage does little to resolve this dispute. There is no reason why the studios cannot return to the bargaining table, sit down, and work out a fair and equitable settlement for everyone involved, and we hope that this symbolic action on the part of the fans will serve to remind the studios and networks that their audience is indeed watching and listening, and they know the difference between posturing and bargaining. headed, but also where they're ultimately headed. Does that sound about right, Mark Verheiden? The other day Proggrrl posted a link to the CBC interview with Tricia Helfer, from Battlestar Galactica, on The Hour with George Stroumboulopoulos. Here's the YouTube. Joss Whedon and Ronald D. Moore drop off some pencils. Flickr user the zz9 posted a bunch of photos from the Pencil Delivery Day events Tuesday. When videos of the events show up on YouTube I'll post them. LJ user tamsibling posted a detailed report from the November 16-18 Battlestar Galactica Creation Convention held in Burbank, California. The Battlestar Galactica Tech Blog has been updated by BSG's science and tech. advisor Dr. Kevin Grazier. The Tech Blog's new home is at Cinema Spy. 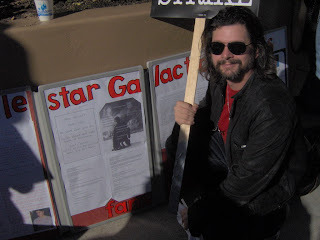 Ron Moore at Star Trek Day. Deadline Hollywood and United Hollywood, via Jane Hamsher of Firedog Lake, report that the Washington lobbyist goons of Fabiani & Lehane the AMPTP hired to lie about the writers are losing their labor union contracts, and hopefully soon will be completely out of business. The strike is destroying NBC's bottom line. Today the was the first day of deliveries of pencils to moguls with Ron Moore and Joss Whedon and Jane Espenson dropping off the pencils. Trek Movie Report covered Star Trek Day at Paramount and spoke to Harlan Ellison. LAist has a photo essay. United Hollywood lists the events for this week. A reality writer responds to the AMPTP's unreality. 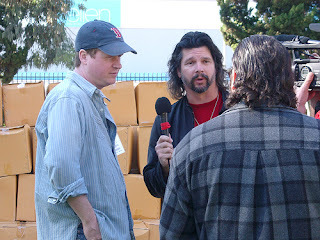 Ron Moore at the Trek event. You may also want to write to Congress and the FCC and find out why there isn't a RICO investigation of the AMPTP and studios. Jane Espenson and United Hollywood report on Star Trek Day at Paramount. Wil Wheaton attended. Scroll down this page for photos of Jane Espensen, Ron Moore and others at the Trek event. United Hollywood has a number of updates from writers on the AMPTP's games. Katee Sackhoff for a Golden Globe nom? Film/TV trade mag Variety talked to some industry insiders about this year’s breakout performers who might get nominated for Golden Globes this year – including Katee Sackhoff for BIONIC WOMAN (via Watching Bionic Woman). The Globe nominations are announced this Thursday morning at 5AM Pacific Standard Time. 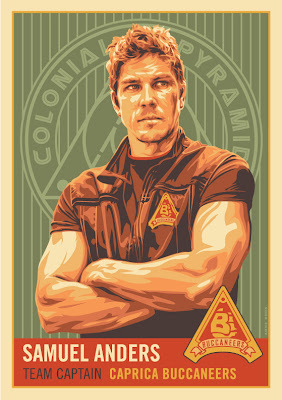 FanLib.com is running a Battlestar Galactica fan fiction contest this month with some terrific prizes including the BSG DVD collection, and a BSG banner signed by Katee Sackhoff, Jamie Bamber, Tahmoh Penikett and Kate Vernon. TV Guide recently posted some new video of an interview with Katee Sackhoff. The interview looks like it was taped in late summer during her press for BIONIC WOMAN. Canada’s The Hour interviewed Tricia Helfer about her current work including the film WALK ALL OVER ME which opened in Canada on Friday. Livejournalist and Aaron Douglas uberfan meshel73 posted links to Radio Dead Air's interviews with Douglas and Jamie Bamber at Dragon Con. Fandom doing nice stuff…you can too. Some fans on the SciFi forum are making a handmade scrapbook of all messages left on this thread for the Battlestar Galactica cast and crew. Hurry up and add yours by tomorrow. The book will be delivered to set once the show is back in production next year. If you’d like to send injured actor Michael Trucco some wishes for a speedy recovery, you can post them here. A bunch of Katee Sackhoff fans have decided to do some things to show their love for Katee: you can add to a list of Things We Love About Sackhoff here, and you can make donations to one of Katee’s favorite charities here. As I've said before: this isn't a business model, it's a urinary tract infection. Before DRM, all the uses you could imagine for your media flowed in a healthy gush -- rip a CD, make a backup, put it on an iPod, make a mix disc, stream it from a home server, etc. Now it comes in a painful, drip-by-drip trickle -- want to watch your DVD on an iPod? That'll be three bucks please. Want to make a backup? Sorry, nope, you have to buy another copy (as the old MPAA head Jack Valenti used to say: "You can't back up a set of wine glasses -- why should you be able to back up your movies?"). Since the writers aren't getting paid for their creations anyway, I hope digital "piracy" will thrive. And it will. 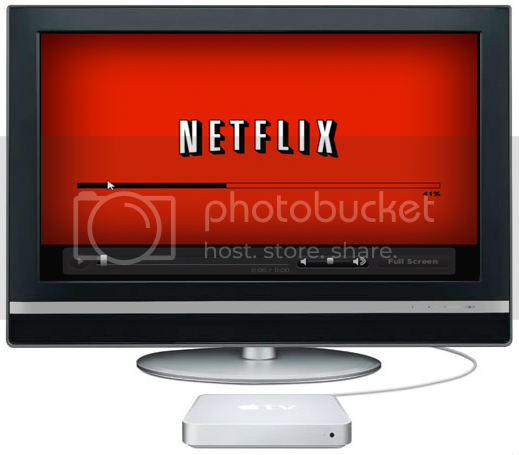 Thanks to the ease of YouTube, and BitTorrent file sharing sites, and nice programs that let you rip your DVDs into your computer for viewing on iPods, or Apple TVs, or other products. As has been noted on this blog before, the great thing about emerging technologies for easily creating and distributing content, the future that Joss Whedon alluded to is around the corner. And then the creators will be able to take full control of the process which will make the corporations dinosaurs doomed for extinction. No wonder corporate America is trying to grab control of the internet.